The Cultivator Council of Advisors is comprised of C-level executives with food, beverage or agriculture experience. These executives are connected to various resources that are critical to the growth and scale-up of Maine food companies and serve as ambassadors supporting the Cultivator program and member companies. Steve Culver is the owner of Two Lights Group Consulting as well as a founding partner in Blue Ox Malthouse. Steve works with startup and small companies, assisting them in developing growth strategies, financial modeling, and analysis. Steve has helped several companies develop strategies to gain distribution in the larger supermarket chains. He brings 30 years of experience at Hannaford Bros., where he held various positions. Starting right after receiving his MBA from Northeastern University in Boston, Steve began with Hannaford as a financial analyst. He moved from there to the Real Estate Department, where he was responsible for contract negotiations and acted as the lead on several real estate developments in New England and New York state. Next, Steve joined the team that developed the home delivery model, which was eventually spun off as an independent company, Home Runs, and now operates out of Boston and Washington. The next several years were spent in category management, first as a category manager and next as a director. From there, Steve moved on to lead the development of Hannaford’s leading edge Guiding Stars nutrition ranking program. The last six years of Steve’s career were spent as a Vice President of Government Relations, during which time he also served two terms as the Chair of the Maine State Chamber of Commerce. Taja has built Pulp+Wire into one of the fastest growing 100% woman-owned consumer packaging firms, with a focus on natural and organic brands, in the U.S. Her accessible style and savvy marketing instincts have made her a natural fit for the owners of natural foods, lifestyle and cannabis brands seeking to launch new businesses or accelerate current growth. The collaborative workflow she administers from brand ideation to digital marketing and revenue growth is scaled to meet each client’s unique needs. The result of Taja’s client-centric style, strategic brand insight and ability to forecast trends has produced award-winning work that’s been celebrated in such top-tier industry publications as Graphic Design USA, Packaging Magazine, How, Print and The Dieline, among others. The deep generosity and skill-set she shares with each client have been the key to the growth that has propelled them to success as well. Many have earned not only increased sales, but media attention from such national spotlights as The Today Show, Good Morning America, and Fox Business Morning. Mark Dvorozniak is the Founder and President of Marketing Strategy Decisions; a consultancy focused on guiding Maine companies profitably grow. Mark Dvorozniak has extensive strategic and marketing management experience. He was Vice President of Marketing for Barber Foods from 1994-2012. Prior to Barber Foods, Mark held Marketing positions at Helene Curtis (a leading personal care consumer packaged goods company). Mark earned his Masters in Management from the J.L. Kellogg Graduate School of Management at Northwestern University, concentrating on Marketing and Strategic Planning. Mark also holds a B.A. in Economics from Northwestern University. Between undergraduate and graduate studies, Mark was a consultant at Arthur Andersen’s Systems Consulting practice (now Accenture). 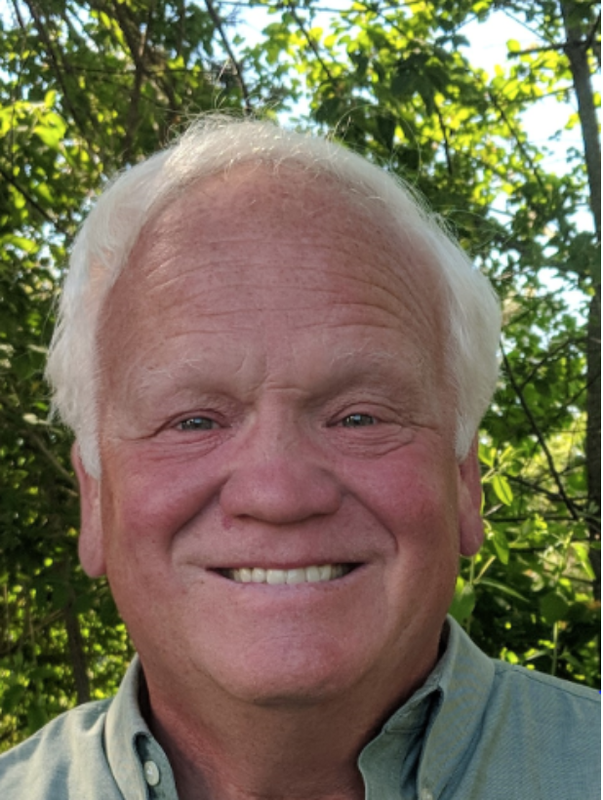 He currently serves on the board of directors of the Maine Grocers and Food Producers Association and The Treehouse Institute as well as the steering committees of the Maine Food Strategy and Focus Maine Agriculture Task Force. Mark is also an Adjunct Professor at the University of Maine teaching New Product Development Marketing. Read more about Sue on the MCE Team page. Darrell Pardy, CPA, CA was born and raised in Halifax, Nova Scotia where he attended Dalhousie University, receiving a Bachelor of Commerce (Hons) with majors in accounting and finance. After graduating from Dalhousie and marrying his high school sweetheart, Darrell and his wife moved to Newfoundland Canada where he studied and worked in public accounting and attained his Chartered Accountancy (CA) designation. The opportunity to work for a global seafood company brought Darrell back to Halifax in the mid-1980’s when he became the CFO and later CEO of Abba North America, a company he helped build to over $100 million in annual revenue. In 1992 Darrell, along with a co-founder, bought the assets of a division of Abba and started Bristol Seafood in Portland Maine. Darrell and his family, which now includes two young sons, moved to Yarmouth Maine in 1994 becoming US citizens in 2005. In 2012 Darrell took on the role of CEO at Bristol and revenues reached $40 million. He co-founded Vitsab USA with Swedish partners to deliver a time temperature solution to cold-chain challenges in the scallop industry. Today Vitsab is a world leader in that technology. In 2014, he attracted an investor to purchase the shares of Bristol Seafood to begin his transition out of the company. Early in 2016 Darrell stepped down as CEO and founded Aventure Management and Brown Dog Carriers & Logistics to utilize his skills as an entrepreneur and help others start and build Maine businesses. He also joined the Board of Trustees of The Portland Stage and is the Treasurer of that organization. In 2017 Darrell jumped back into the daily job world and took on the role of Director of Finance at Thos. Moser Cabinetmakers in Auburn Maine. Darrell has a deep passion for Maine, the Arts and spending time in the outdoors. While working to develop Bristol into a nationally recognized industry leader for seafood quality and food safety, Darrell also found time to coach little league baseball, helping both sons become Eagle Scouts at the local troop where Darrell volunteered as their treasurer and spent nine years on Waynflete School Board of Trustees where his sons attended. During his tenure as Board President at Waynflete School, Darrell was active in fundraising including co-chairing the Capital Campaign to build a new theater for the school. He remains on the Board as a Trustee Emeriti. Tony Perkins is a shareholder at Bernstein, Shur, Sawyer & Nelson, a 110-attorney firm with offices in Portland and Augusta, Maine, and Manchester, New Hampshire, where he is a member of the firm’s Business Law Practice Group, Intellectual Property & Technology Practice Group and Food & Beverage Group. Tony's work includes day-to-day counseling and transactional assistance to start-up, growth and established businesses involved with product development, intellectual property protection, national and international commercialization and distribution agreements, angel and venture capital financing, joint ventures, and company sales and merger transactions in a variety of industries. Since the late 1990’s Tony has assisted numerous clients with raising angel capital, venture capital and other private funding and advise and assist many clients with sales to private and public company acquirers. Many of these engagements involve transactions that cross state and national borders. Tony is the Chair of the Board of the Maine Center for Entrepreneurs and a member of the Board of the Bioscience Association of Maine. Tony is also an active mentor and speaker for the MCE’s Top Gun business accelerator program. Read more about Tom on the MCE Team page. Meghan Stasz is the Senior Director of Sustainability for the Grocery Manufacturers Association (GMA); the trade association representing the leading food, beverage, and consumer products companies in the U.S.
Meghan has 15 years of experience in the environmental sustainability field. At GMA, Meghan works on issues such as waste, sourcing, supply chain sustainability, water, energy, and other topics as they pertain to the food, beverage, and consumer products industry. Among other initiatives, she is currently leading the Food Waste Reduction Alliance (FWRA) initiative - a collaborative, cross-industry initiative to reduce food waste sent to landfill and increase food donation to food banks in the U.S. She also works extensively on packaging and recycling efforts and agriculture issues. Prior to GMA, she spent several years with the Environmental Defense Fund where she was the Project Manager of the organization’s Farm and Food Policy Reform campaign. Meghan received her B.A. from Hamilton College and her M.B.A. from Boston College.